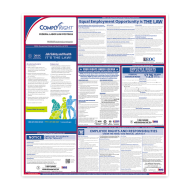 The Mines Press' labor law posters meet every state and federal posting requirement, keeping your accounting firm in full compliance. Your firm will be covered, no matter where it is located. 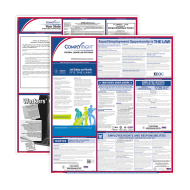 Why Do You Need Federal and State Labor Law Posters? Did you know that displaying the most current federal and state labor law postings is mandatory if you have a paid employee? No matter what state you’re based out of, your firm must comply. Labor laws are constantly changing and it’s important that you display updated labor law posters at each business location. In fact, it’s legally mandated. These posters should be displayed in areas employees and applicants frequent like entrances, time clocks, and break rooms. By making sure your employees see the most updated versions of federal and state law posters, you are actually protecting your accounting firm. 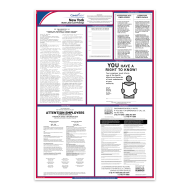 Updated posters can help prevent government fines and support your defense in the event of a lawsuit. Our posters are developed by a team of attorneys who continually monitor and interpret posting requirements—giving you the peace of mind of knowing that your firm is in full compliance. You can order the most updated versions of federal or state law posters from the Mines Press today, either individually or as a discounted set.